New Braunfels, Ennis then OH & PA- Here We Come! After a great Midwest and Northeast run– and some time home– it’s back to the road for me! 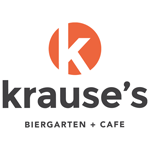 I’m excited to be at the new Krause’s Cafe in New Braunfels for 3 nights on Thurs-Fri-Sat, May 25-26-27. Although the VIP tables are all sold out- there are general admission tickets available. 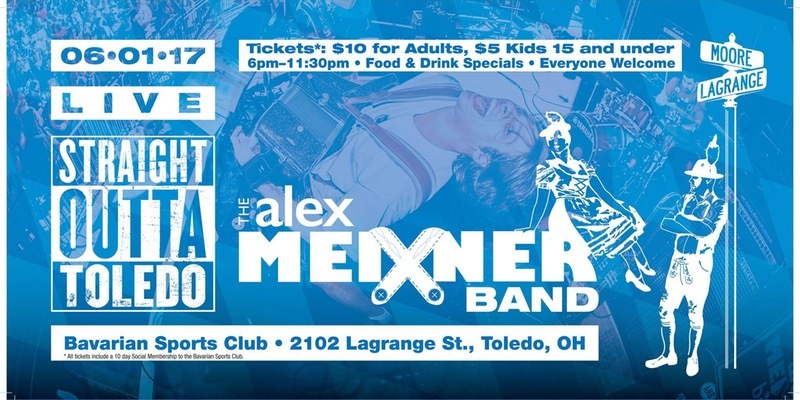 Come see the show which features special guest Catie Offerman— as well as a classic band lineup with Dr. Michael Fortunato, Michael Morris, and Robynn Amy. 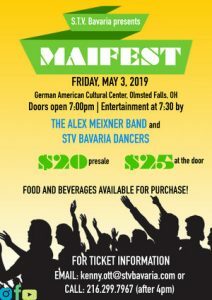 There are new Maifest t-shirts that will be available as well as a lot of other fun stuff! 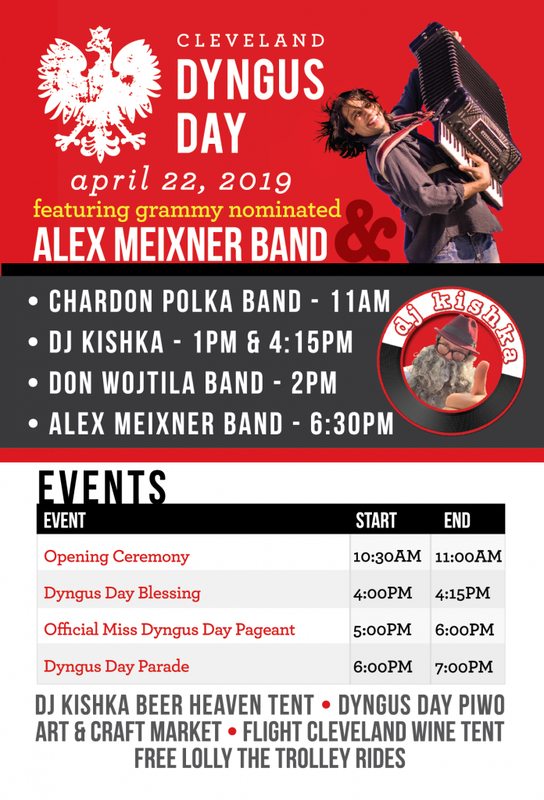 And then, The Alex Meixner Band returns to the National Polka Festival at Ennis, TX‘s Sokol Hall on Sunday, May 28. 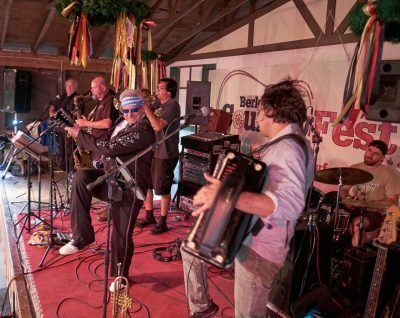 We will be alternating with Czech and Then Some before Brave Combo hits the stage for their traditional closing set. Lots of good Texas fun for Memorial Day weekend! Hope to see ya’ll there! From Texas we’ll be heading north for a special one night “Straight Outta Toledo” gig at the Bavarian Sports Club on Thursday, June 1, then two nights at Johnstown, PA Polka Fest alternating with Hank and Polka Family on Fri-Sat, June 2-3 and of course the big PolkaPalooza event at the Evergreen in Fleetwood, PA on Sunday June 4 with the All-Star Guitar Slingers and the Mad fiddler! 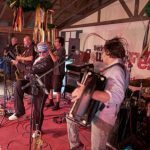 Tickets are available for Toledo and Polka Palooza– pick them up in advance as they’re sure to be awesome events! I’m excited! Have you ever seen a commercial for pepperonis, featuring a lederhosen-clad one-man-band on accordion and drums singing to the tune of the Knack’s classic, new wave hit “My Sharona” and wondered, "What’s that guy’s deal?"